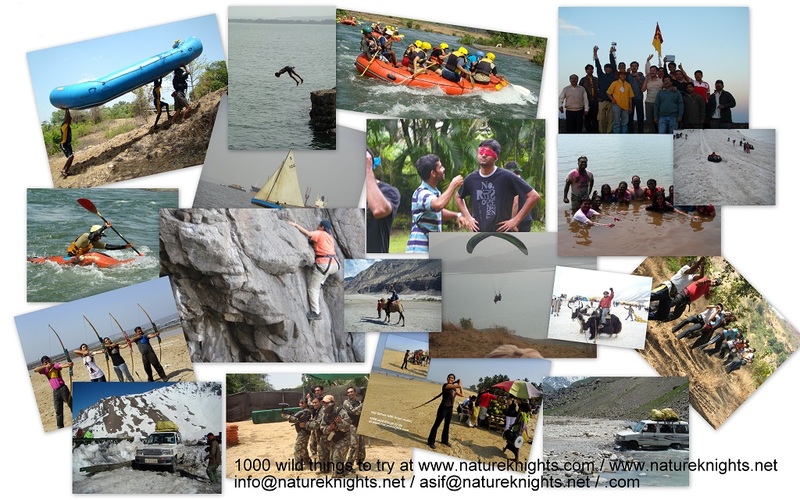 Nature Knights Adventure and Team Building Offsite Programs.. 1000 adventures with Nature Knights. One Day Corporate Adventure Offsite combines with couple of team building games. Obstacle Course and Mega Treasures with Team Building objectives. Camping and Survival Camps in Wilderness with Team Building and Leadership Program. Team Building Program with Himalayan Safari (Ladakh, Kashmir, Sikkim, Bhutan, Nepal, Uttarakhand and Himachal Pradesh). 4 Days to 10 Days package from the nearest airport. Few options for Team Building Games.